Any business that stands still long enough runs the risk of watching the competition pass it by. As a private bookie running and managing your own independent sportsbook, you always need to stay way out in front of things in the ever-changing sports betting industry. If you remain content with maintaining the status quo, you are probably destined to be added to the long list of other business failures that continue to pile up year after year. How Do Bookies Make Money? – What is Vig? If you got into the bookie business by the lure of easy money, this delusion was quickly dispelled once you were up and running. Successfully running your own sportsbook is hard work. With the help of a quality Pay Per Head service, you can manage the administrative end of the operation, but as the face of the company, you need to market your services with a comprehensive and effective business plan. Another issue facing private bookies is going it on your own. You may have some business acquaintances and other reliable resources to turn to. However, you are still just one person trying to compete against all the big online sportsbooks that have the financial resources to drive customers to their betting sites. If it sounds like the cards are stacked against you as a private bookie in a very tough business environment, they are. Does that mean that you cannot build a very successful bookmaking service with long-term financial rewards ? No, it does not. 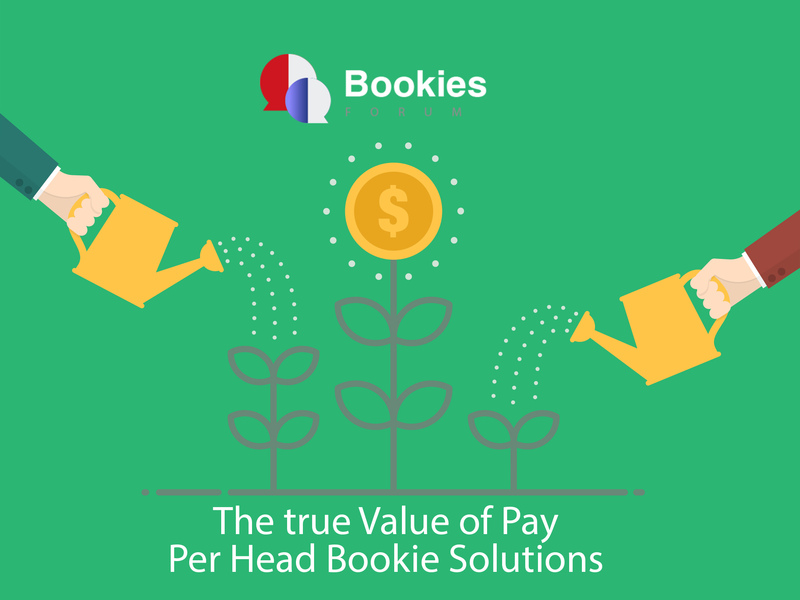 By nature, the Pay Per Head business model is designed to be a silent partner in your bookie operation. Not only do you have fast and easy access to a wealth of business tools, you also have access to a professionally trained customer service team. Some price per head shops will provide a designated account manager to walk you through the simple steps to taking your bookie business online. The top PPH services only employ customer service representatives that come from an online sports betting background. As part of the low, weekly price per head fee you already pay for each of your active betting customers, you will always have round-the-clock access to this highly-trained team of professionals. Any Pay Per Head software provider in business for the long haul fully understands that your long-term success as a private bookie is directly tied to their long-term success as a sports betting software solutions vendor. While your price per head shop offers quite a bit of added value in light of the low fees they charge, it is still vitally important to find the right site for your particular needs. Some PPH sites are geared more towards large agents that filter most of their business through a series of sub-agents. This particular business model can get quite complicated; requiring a more advanced sports betting software solutions package. You never want to shop for a Pay Per Head site on price alone, but you also want to make sure that you are only paying for what you really need. The top PPH services offer different plans for different business applications. This allows you to tailor a plan and a per head fee to meet your particular needs. The level of customization will vary from site to site, but you should be able to find a per head plan that best meets your needs at an affordable cost. Moving your existing bookie business online to keep-up with the times is just a small part of the true value a Pay Per Head bookie software provider brings to the table. Having the right service by your side could easily mean the difference between success and failure. You need to tap into all the resources they can provide to grow, expand and prosper from your private bookmaking enterprise.